Ridley Scott’s Alien films fans this is something you will fancy, for sure. 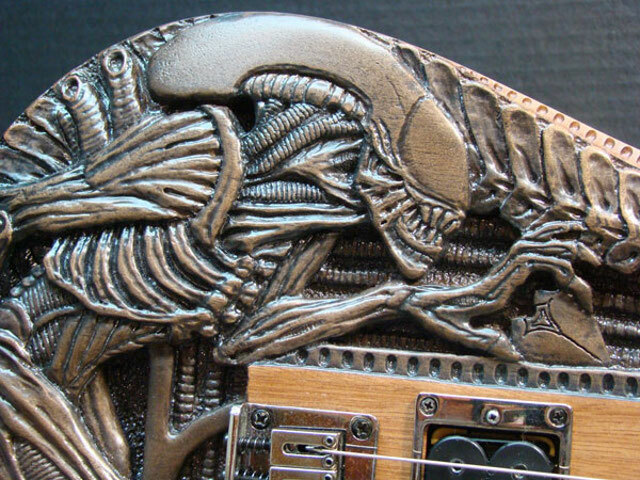 This alien electric guitar is recognizable with the design specific for this movie and the famous alien creature from outer space carved on the body of the personalized guitar. Isn’t that awesome or what?! You can now play your favorite pieces face to face with the famous cinema jaw thanks to Gig Goldstein who decided to pay homage to H.R. Giger’s alien, most widely recognized from the Ridley Scott movies in a specific way. 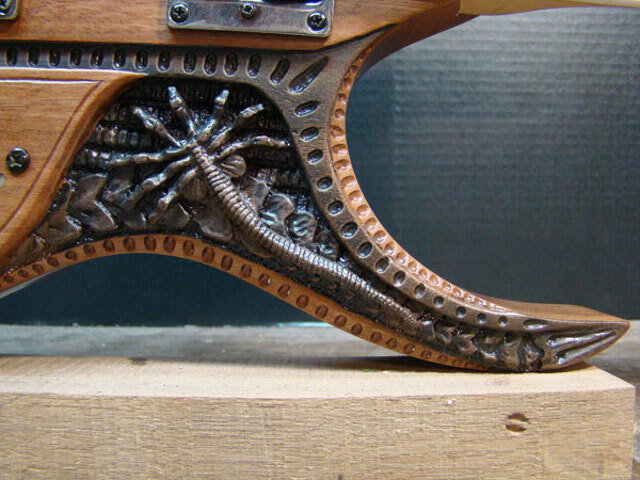 In the gallery below you can wow over Gig Goldstein’s amazing carving work. It’s incredibly detailed and really true to the original. What started as a hobby and a favor to a friend who wanted something carved onto his guitar more than 12 years ago, today is a very serious business. 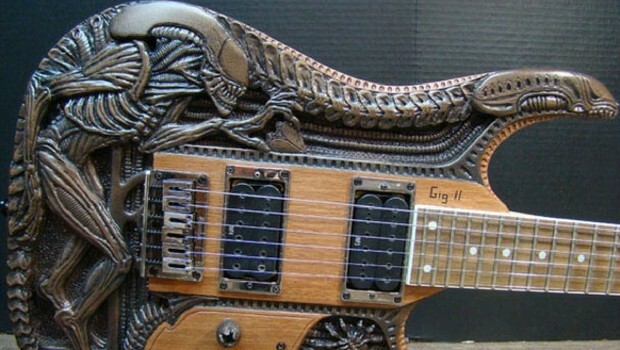 It is quickly becoming popular as more people want their own customized, one of a kind guitar and the author obviously does a great job. Amazing carving work – incredibly detailed and really true to the original. 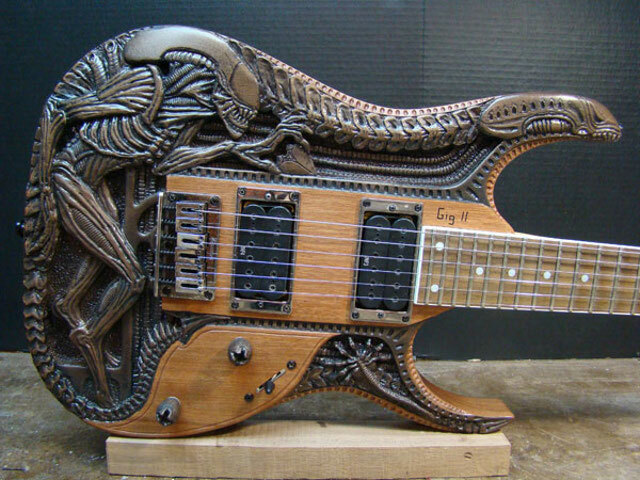 Did you like this one of the kind personalized carved guitar? Share the amazement with your friends by sharing this post!